Whether your favorite summertime leisure activity is hiking, going to the beach or a picnic. I have a list of all your must-haves to pack in your chic, trendy woven basket bag for your favorite summer activities. Some of my summers must haves I never leave the house without are: a pair of slides, healthy snacks like refreshing fruits and fun drinks to stay hydrated like coconut water and some jewelry pieces for when my outfit needs another detail. 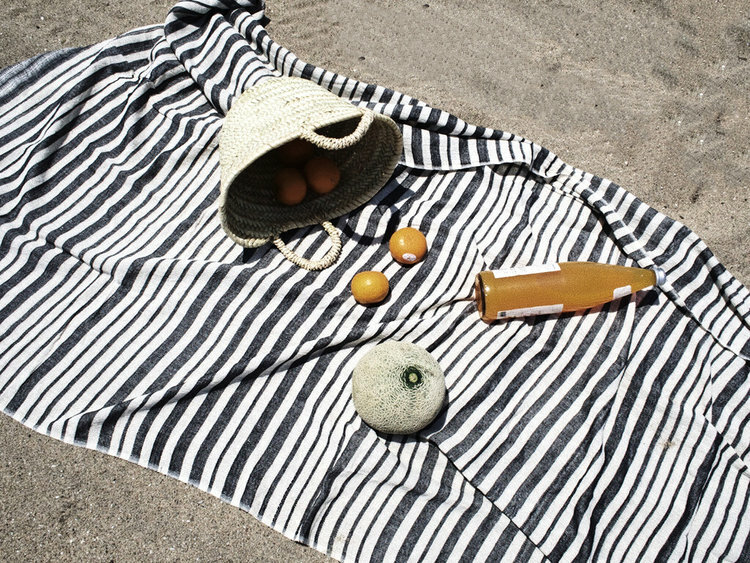 When I’m heading to the beach or on a picnic I also add sunscreen, a hat, skinny cat eye sunglasses, my favorite summer read and a bold bright cover-up. When I’m laying out in the sun I always apply some restorative conditioner to my hair to keep it hydrated and UV protected. Does anything sound more perfect? I set up my towel, small umbrella and soak up the sun in my cute one-piece suit while reading a summer novel.